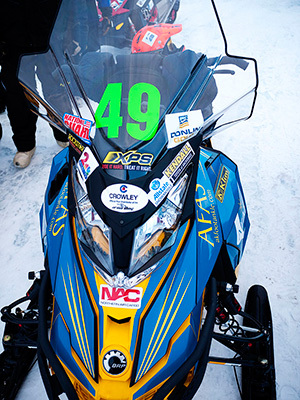 Alaska Foot & Ankle Specialists is proud to sponsor Team 49 in the 2014 Iron Dog. The Iron Dog is the World’s longest snowmobile race. Participants cover some of Alaska’s most remote and rugged terrain while confronting some the harshest winter conditions. Survival skills are essential, making it the World’s toughest snowmobile race. All teams in race classes are a team of two persons and two snowmobiles for safety. AFAS Team 49 is participating in the trail class division.